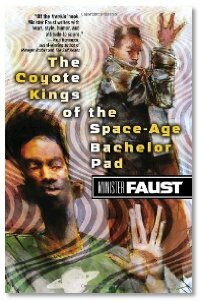 >Minister Faust has written the definitive novel for all fan boys, The Coyote Kings of the Space-Age Bachelor Pad. Poor SF/F geeks battle rich used-to-be SF/F geeks, with some SF-ish drug dealers and some sort of Ethiopian demi-god thrown in to boot. Minister describes the book as "The Catcher in the Rye meets Repo Man, or Harry Potter on Heroin". 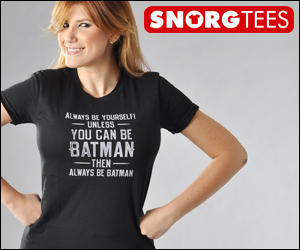 Yeah, that pretty much sums it up. Read it. Evo said so. Rather than talk with an author for our next segment, we talk about a "choose your own adventure" DVD called Scourge of Worlds. It's a Dungeons and Dragons™ adventure, but you exchange your 20-sided die for the controler on your DVD player. Three adventurers navigate a fantasy world, and you get to make choices for them. 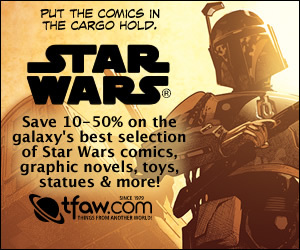 1,100 possible endings for nearly unlimited hours of entertainment. Mike is hooked! Guess when Colonel Carter is gonna pop! Getting your father arrested for child abuse and only getting six bucks as the final bid: priceless.